The best thing about English movies is their talented comedians. Lee Evans, John Cleese, Bill Bailey, Simon Pegg; their names resonate laughter and giggles every time we see them. 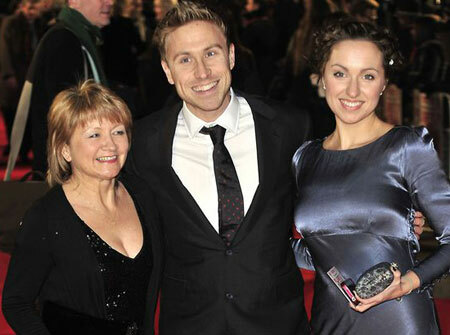 Among them, there's one person, a versatile actor and a radio presenter too, Russell Howard who's best known for his TV show Russell Howard's Good News. This young comedian and actor is doing pretty well with his career and personal life. He is not only funny but a happy guy as he has a lovely girlfriend with whom he lives together in London. So, if you want to know all the details about this actor's love life, stay with us. The Mock The Week comic star, Russell Howard is dating his longtime girlfriend named Cerys Morgan and the couple is happier than ever. 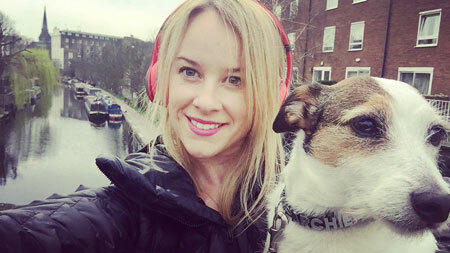 Cerys is a medical student and a registered doctor who lives in Primrose Hill, London. In an interview with BirminghamMail.co.uk, Russell revealed how he and his lovely girlfriend ended up dating together. Their story dates back when both were just teenagers and Cerys was Russell's friend's little sister. They met at a Venture Scout Disco. Russell was just 21 when he first saw the beautiful Cerys and was spellbound with her charm and beauty. Eventually, both started seeing each other which became quite a problem as his friend was against their relationship, but it worked out soon. “In fact, I’m an usher at my friend's wedding next year. We'll be family real soon." Despite his popularity and success, Russell prefers to live in Warwickshire town, away from the city with his girlfriend and their favorite dog, named Archie. "Being a doctor is a proper job and you have to respect that. I just write jokes for a living. you can’t say what I do is a job. It’s nice to be going out with someone who’s doing such an inspirational, worthwhile job. Not that she’s very sympathetic to me – I’m a massive hypochondriac, always complaining about some ailment or other, but she just ignores me." He also stated that he loves living in the Midlands, playing for the local football team, the Cricketers Reserves and he wants to settle down soon. So we know guys what you're thinking. Are they planning to get married? Yes! However, Russell has not made any announcements and we hope it will be any time sooner. Born (23 March 1980 )and raised in Bristol, England, the 37-year-old stand-up comedian, and radio presenter is the son of father David Howard and mother Ninette Howard. He has two siblings, sister Kerry Howard who's a popular English actress and brother Daniel Howard. The winner of Best Compere Award in 2006, Howard rose to fame with his Edinburgh Festival Fringe Show. 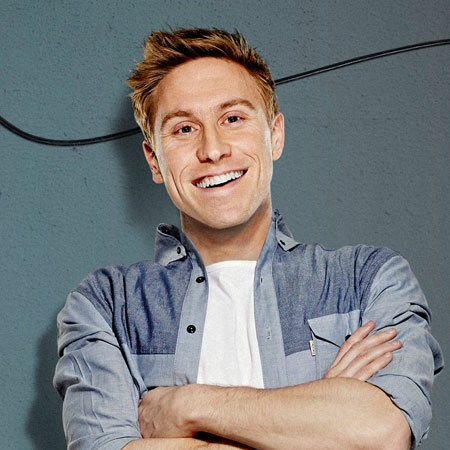 This handsome Russell Howard Show on BBC went to Perkins School in New Alresford and Alton College in Hampshire and graduated from the University of the West of England in Bristol in 2003. 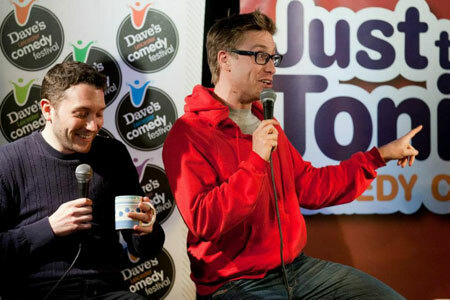 His passion for comedy and acting transformed to reality when he did his first gig at Jesters comedy club in Bristol. After a number of performances, the audience loved him and eventually he stepped on media industry with his first comedy series, a radio show The Milk Run in 2004. He grabbed another opportunity to host the popular show, Mock the Week and also co-hosted The Russell Howard Show on BBC with co-host and comedian Jon Richardson. Later on, he became a global star when he made his first American TV debut by appearing in an episode of the hit late night talk show, Conan and also in Never Mind the Buzzcocks. In 2015, he even got his own show, Russell Howard's Stand Up Central that was broadcasted in Comedy Central and it still continues to entertain the audience. He has made an appearance in popular American talk shows including The Tonight Show Starring Jimm Fallon. Furthermore, he did a stand-up tour called Wonderbox since February 2014. He solely earned 4 million pounds in 2009 with his shows and tours. Now, he's all set to do his fifth stand-up tour from February to July 2017, titled as Round the World, which will cover UK, Ireland, Europe, New Zealand, Australia, and America. My brand new ROUND THE WORLD tour starts TONIGHT. I'm playing 55 cities in 19 different countries... can't wait! Well, keeping aside his comedy and tours, we would really like to see him walk down the aisle with his gorgeous girlfriend.